A spacious and soothing retreat. 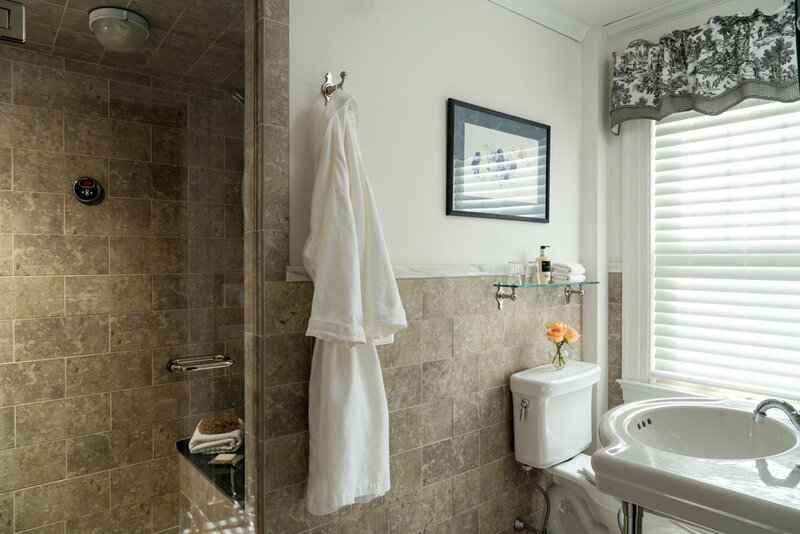 Talleyrand's features place it very high on the comfort scale: King bed, fireplace, sitting nook and steam shower. Second floor//King-sized bed//Ensuite 3/4 bathroom with steam shower//Wood-burning fireplace//Sitting area//Mini Refrigerator//AC//Area including bath: 280 sq.ft.